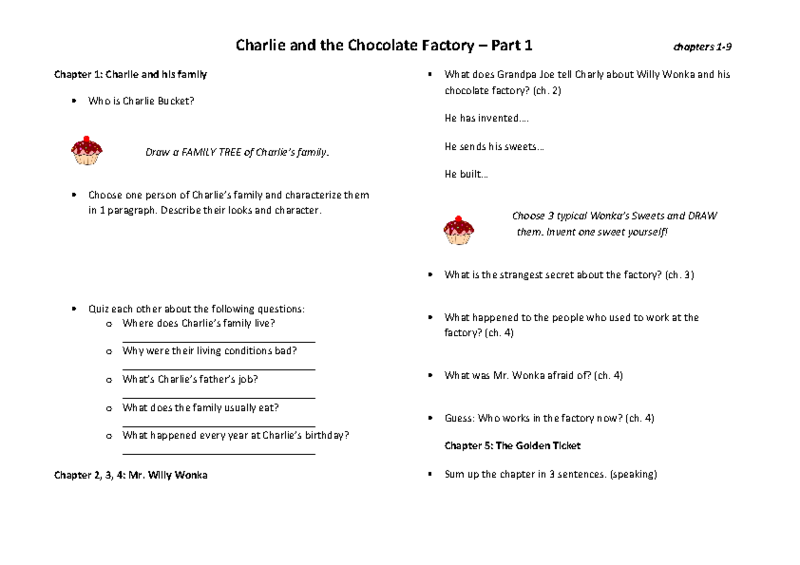 I used these worksheets (4 in total) as a discussion starter for the "Charlie and the Chocolate Factory" book club I did with my A2-level (pre-intermediate) students. 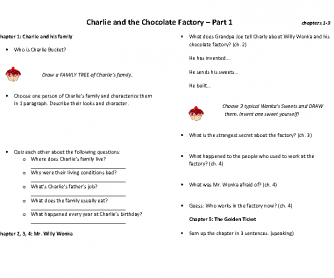 We spent about 1 1/2 months reading and discussing the book, with one book club session every Friday, in which we read together, worked on the worksheet (alone or in small groups) or discussed homework tasks. It worked very well and students enjoyed the book as well as the variety of activities the worksheets offered.